For centuries, literature that dares to examine difference or “otherness” has been ridiculed, challenged, or outright banned. 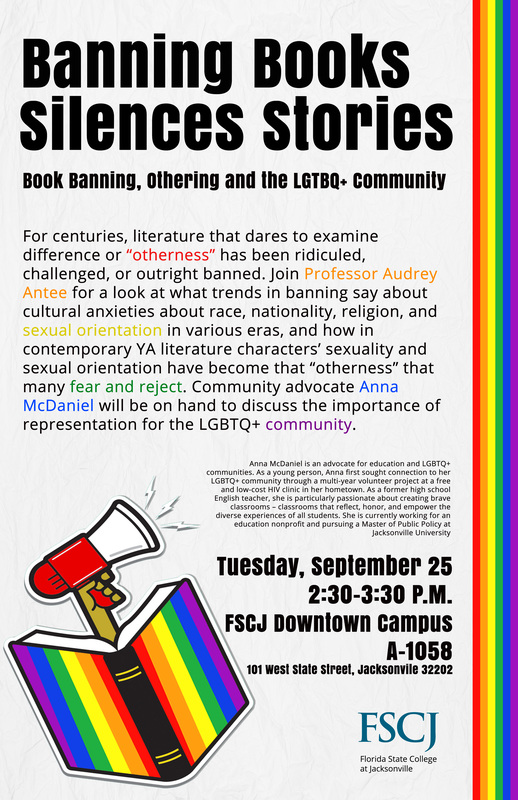 Join Professor Audrey Antee for a look at what trends in banning say about cultural anxieties about race, nationality, religion, and sexual orientation in various eras, and how in contemporary YA literature characters’ sexuality and sexual orientation have become that “otherness” that many fear and reject. Community advocate AnnaMcDaniel will be on hand to discuss the importance of representation for the LGBTQ+ community. 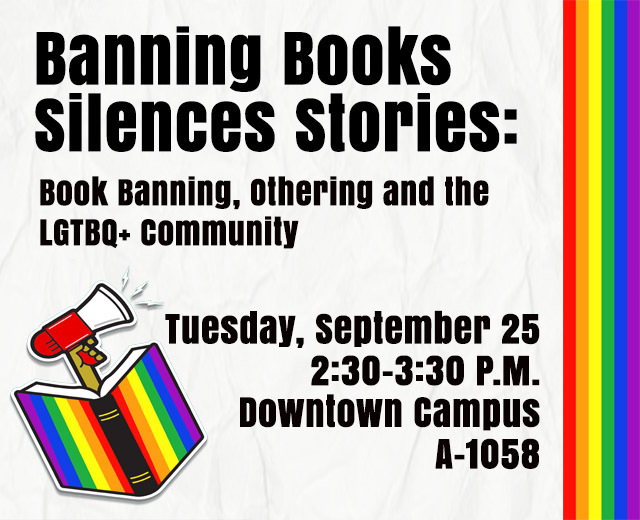 This event is part of a week-long series of Banned Books Week events hosted by the LLC and will take place in A1058 at FSCJ's Downtown Campus.